Its an expressive and refreshing burst of mixed pink flowers. What better way to show just how someone makes you feel? 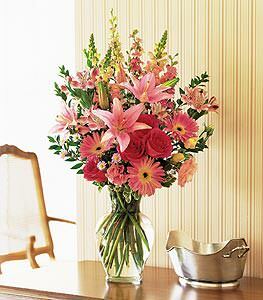 Asiatic lilies, roses, gerberas, snapdragons and larkspur arrive in a classic glass vase.